Looking for a dream place for your wedding? 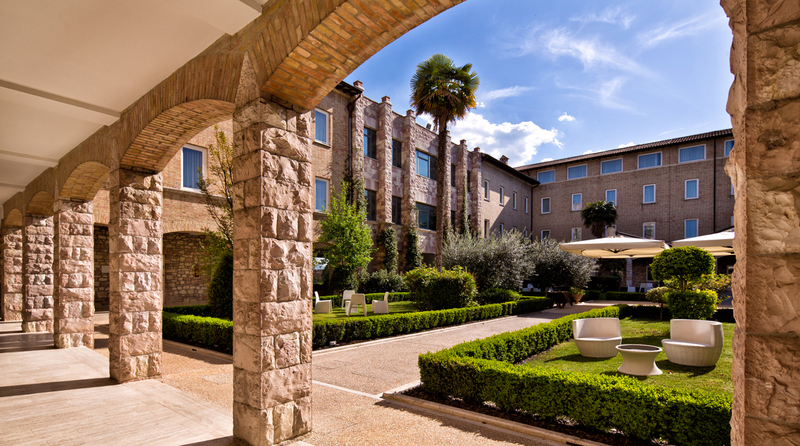 The cloister is the beating heart of the hotel, with its beautiful gardens; its internal architecture has been designed to convey an idea of harmony and measure in a spiritual place, which enhances the beauty of life and seems to be a joyful thanksgiving to nature, be appreciated from the rooftop bar, sipping herbal tea and admiring the magic of colours of the Umbrian countryside. It is the ideal venue for weddings. Fittings dream, tasty recipes, all the complementary services, from music to art direction and savour the experience to make the most beautiful day of your life a special day.